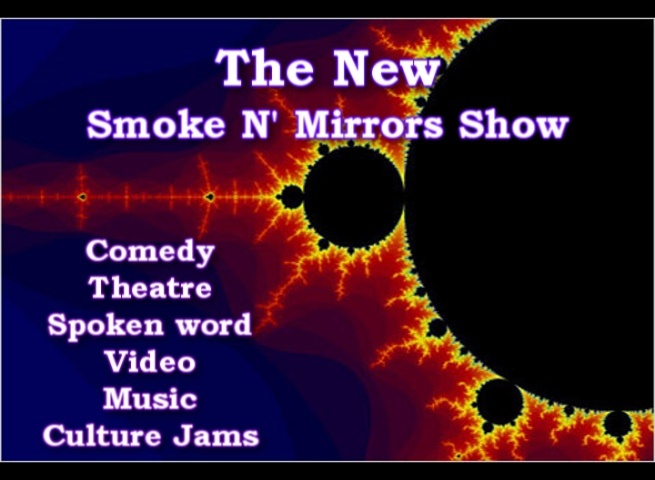 Smoke N’ Mirrors is a multi-media arts show designed to challenge people’s perceptions and open up third eyes! A gathering for open minded and politicaly aware people who enjoy performance based art forms as well as video projections. Celebrating alternative and independent media and research, SnM attempts to break down the illusions created by the mainstream media and uncover the process of social engineering.